Dedicated Realtor with proven experience for buyers, sellers and investors. "... everything a person needs in a person helping you to sell a property." Lynn is everything a person needs in a person helping you to sell a property. She COMMUNICATES! Lynn was constantly letting us know what and how things were going. She is patient, thorough, professional and trustworthy. She made me feel comfortable and at ease through the entire selling process from the listing, selling and finally the closing. I highly recommend Lynn Dahlberg. "...would not even remotely consider using anyone else." Lynn has helped us with many deals in the past and we would not even remotely consider using anyone else. She knows her stuff and communicates well with us and with everyone involved one the other end of deals. She is fearless in difficult situations which I am grateful for since I am somewhat of a wimp. Ha ha. I love her so much and have so much faith in her that I have referred her to my children, parents, and every friend that I hear is on the look out for a new purchase or to sell what they have! "Lynn is a wonderful realtor." Lynn is a wonderful realtor. She met all of our needs, took care of anything we needed done, and always communicated quickly with us. We had used her before and would use her again in an instant. Lynn can help you get prequalified with a lender, establish the price range you are comfortable with, do searches, create hot sheets (so you know the minute a new property hits the market) and educate you as to the current market so you can be successful with your offer. Lynn's services are of no cost to you as a BUYER. Lynn can present a step by step plan for selling your home so you always know what is happening. Your security while showing your home is important so we go over the precautions necessary. Lynn loves interior design and goes room by room with suggestions for staging your home to look its best. You will receive a Comparative Market Analysis showing you what other similar homes in the area have sold for and give you a suggested price. Lynn will help you negotiate the best price possible and work toward your timing and your goals. You'll receive Professional Representation and friendly association with all involved in the transaction when Lynn is your Realtor. 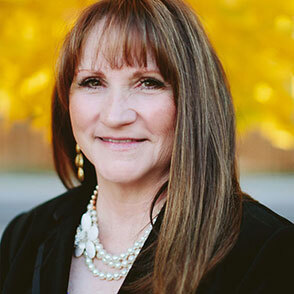 Lynn is also an investor and has experience and knowledge when it comes to your questions about investment property. She can help you with Landlord and rental questions as well as 1031 exchanges when you sell your investment property. Feel free to contact Lynn personally. © Lynn Dahlberg. All Rights Reserved.